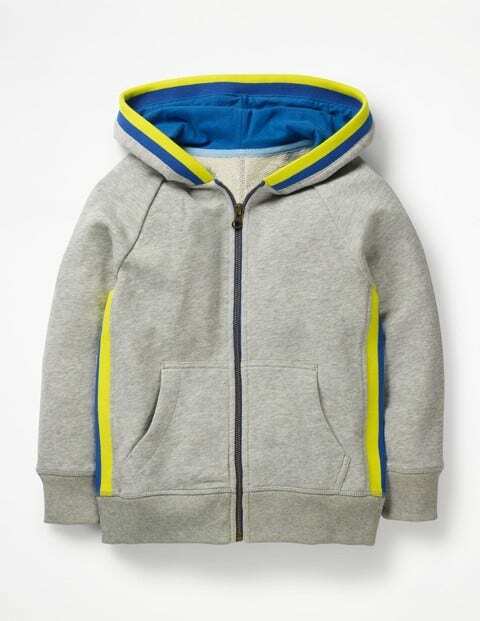 This striped hoodie has a sporty look – ideal for budding BMXers and playground free-runners alike. The kangaroo pockets are handy for storing energising treats and there's bold ribbing on the hood and side seams to make every trick look even cooler. A fully lined jersey hood keeps wearers warm when taking a break from the action.